First job on the list was to design and build a virtual exhibition stand that could be hosted on the magazine website and at the virtual trade fair when it goes live in January 2019. You can visit the stand here. The exhibition stand was initially designed using the handy virtual exhibition stand configurator tool, which is available online. It was then built using a high-resolution, 3D render process. The stand content was added using the online hot-spot content management tools. The build and population part of the process is the same for all exhibition stands. The magazine’s publisher, George Bennet, and editor, Mark Simms, commented. “We write about new technology that improves speed and efficiency in industry every day, so when we heard about an exhibition environment that was live 24/7 - and offered an instant immersive browsing experience, we were enthusiastic about being involved. “Having now seen the technology behind the show and experienced the stand build process, we’re excited about the potential of this next generation of exhibition experience. The virtual reality potential is also huge. We look forward to comments and contributions from the magazine’s readers on the run-up to the show. 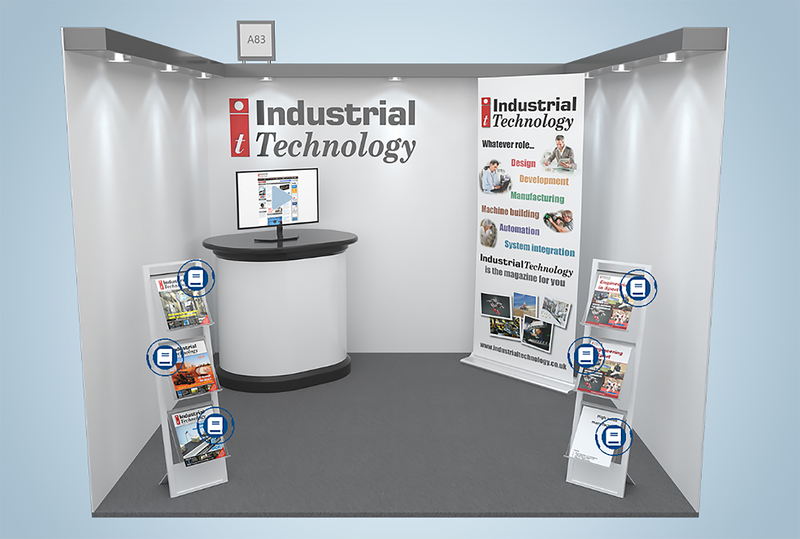 Image Caption: One of the UK’s most respected design and engineering magazines, Industrial Technology has become a media partner for IndustryUK’s virtual exhibition. IndustryUK Virtual Exhibition is an industrial trade fair that will host a range of exhibition stands from SMEs to market leading brands. The platform works the same way that a live exhibition does, except that you can visit at any time, from anywhere. The hall and all the stands will be rendered out to real physical dimensions. As a visitor, you are able to explore the hall in the first person or shortcut to the products and brands that interest you using an intuitive search interface.